Move cursor to "Utilities", press Enter key. 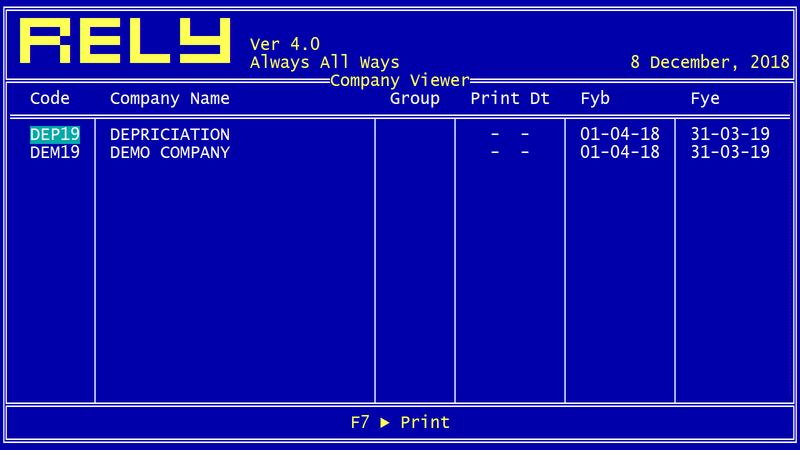 Select "View Companies" from drop down list, press Enter Key & following window will appear. 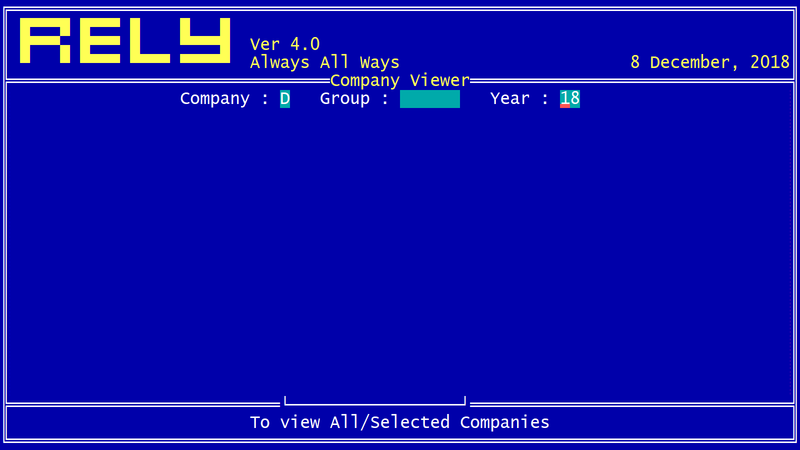 Enter initial alphabet of company to view or enter group & enter year, press Enter key. Copyright © 2019 by TRIPTA Innovations Private Limited. All Rights Reserved.